That seemingly nondescript boutique on your corner isn't all it seems. 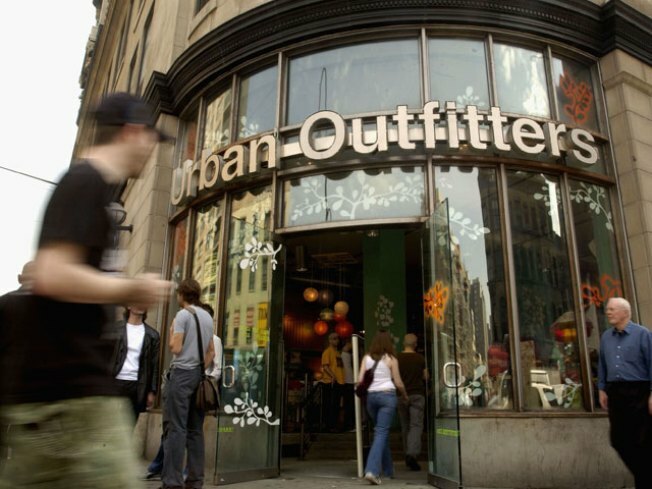 Pedestrians pass in front of Urban Outfitters on 6th Ave. and 14th street in Manhattan. While everyone is buzzing about Fred Flare's new store in Greenpoint (which is rolling out the red carpet, in true Brooklyn style, to anyone who cares to show up), another note-worthy hipster opening this month seems to have been shuffled under the outer borough carpet—perhaps because that's exactly what the mega-brand behind the store intended. Ten days ago, Brownstoner published a tipster's note about a new store on Smith Street called "We the Free." Now, what at first appears to be a logo-less, carefully run-down-looking shop is actually a division of decidedly logo-heavy, big-and-bold Urban Outfitters—specifically, their Free People line. The We the Free capsule collection apparently debuted on the web site with a tremendous response, so lo and behold, the company is opening three stores in the next couple of months—in Brooklyn, Chicago, and Los Angeles. In creating a more vintage-inspired collection, the eggheads behind Urban Outfitters, Anthropologie, and Free People seem to be taking a page out of J. Crew's playbook, who recently launched Madewell, a label with a more trendy, youthful appeal, but most importantly no hint of J. Crew affiliation. Then there's Cusp, a seemingly cutting-edge high fashion boutique in Washington D.C., that is actually none other than Neiman Marcus in disguise. For all of these brand giants, a smaller boutique-like label seems to be the best way to court pretty young things in bustling urban markets. But speaking on behalf of the pretty young things: What happens when all our boutiques are the retail equivalent of wolves in sheep's clothing?